Sensational "La Porta di Vertine" ended its short history in 2016. They could produce only 9 vintages but that was good enough to give big impact to scene of Chianti Classico and played a role in natural wine movement. Those vineyards had been sold to new owner and they will release new wines soon. 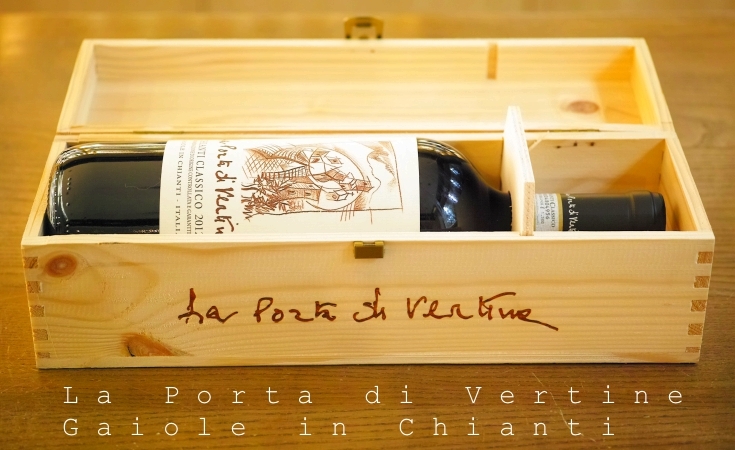 Recently we were contacted by that new owner and they asked us if we wish to take heritage stock of La Porta di Vertine. Immediately we grabbed those stock as much as possible. La Porta di Vertine has ended its short but brilliant history of ver.1.0. Their first vintage was 2006, and we are not sure for the last vintage. The last delivery was 2014 vintage(Rosato). The winery activities had already suspended in autumn 2015, and we received official announcement of closing in spring 2016 finally. This Gambelli inspired Sangiovese winery splendidly impressed natural wine drinkers and producers in these ten years. "A big hug and a heartfelt thank you to all of our customers, collaborators, friends and all of those who have followed, supported, inspired, criticized and loved us, those who believed in us and helped contribute to the success of La Porta di Vertine. Thank you to Vertine and Adine. Thank you to the vineyards, the stones, the sun, the rain, the wind, the yeast, the insects, the microorganisms and the mycorrhiza…. and to Ruggero who helped us get along with all of it! Thank you most importantly to Ellen and Dan who made this possible. It went how it went, La Porta di Vertine, as we conceived it, lived it and loved it is closed!!! Now it waits for someone else to reopen it with new ideas and new enthusiasm, we wish the best of luck to them! We did our best and we are very proud of our efforts."